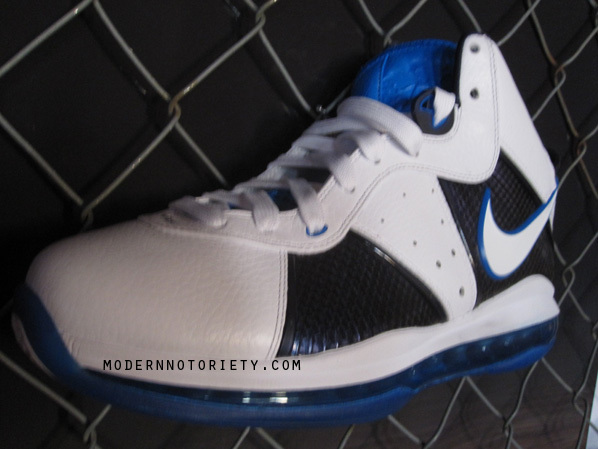 Another look at the Dallas Mavericks inspired colorway of the Air Max LeBron 8. Though Mark Cuban didn’t have the financial flexibility to outright sign LeBron James this summer, he vowed to do everything he could to reel in the King. 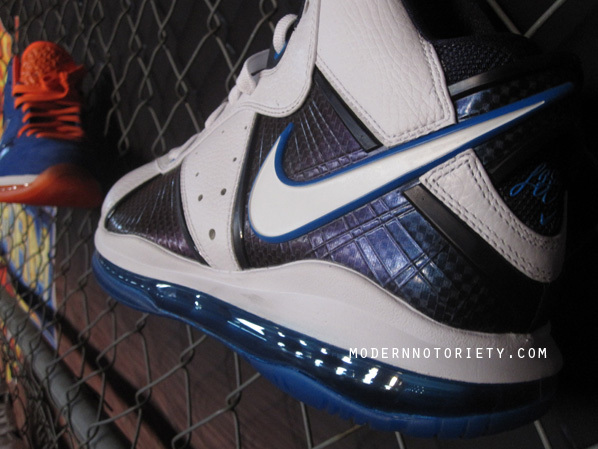 You get the feeling that the Mavericks had a better chance than we realized, with the LeBron 8 being created in what designer Jason Petrie personally called a Mavericks colorway. A possible ego stroke for Maverick Carter? 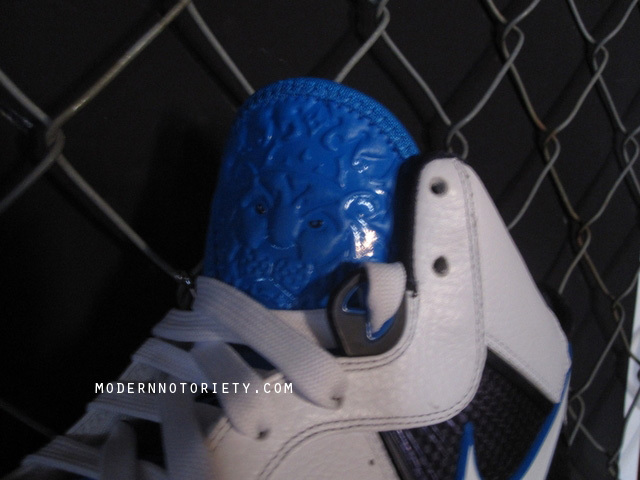 Here’s a couple new photos of that shoe from the Sneakerpimps event in Chicago. The Mavericks 8 features a white tumbled leather upper, with obsidian colored carbon fiber and Flywire panels working the forefoot and heel. 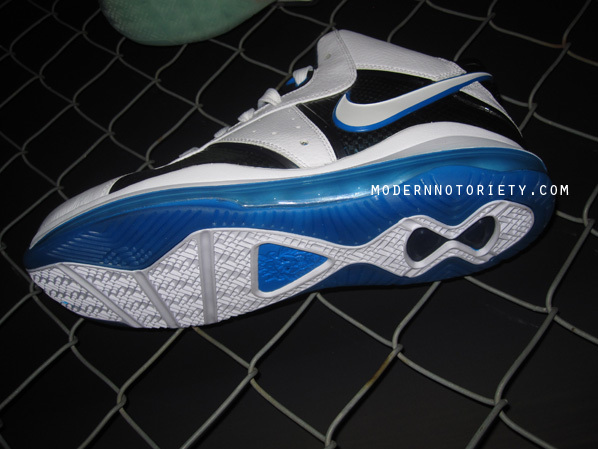 A lighter shade of blue is used for the tongue, Swoosh border, LeBron signature, Air unit and outsole. Petrie said these were his favorite pair and, while they’re not expected to, he’d like to see them release. Do you agree?